I first came here with my sister Katie Gretsch Cuddeback in October of 2002. That gorgeous fall day, Katie and I first had lunch at Peter Lugers with my fabulous Brooklyn researcher, Mary Ann DiNapoli …then we began searching in this cemetery. 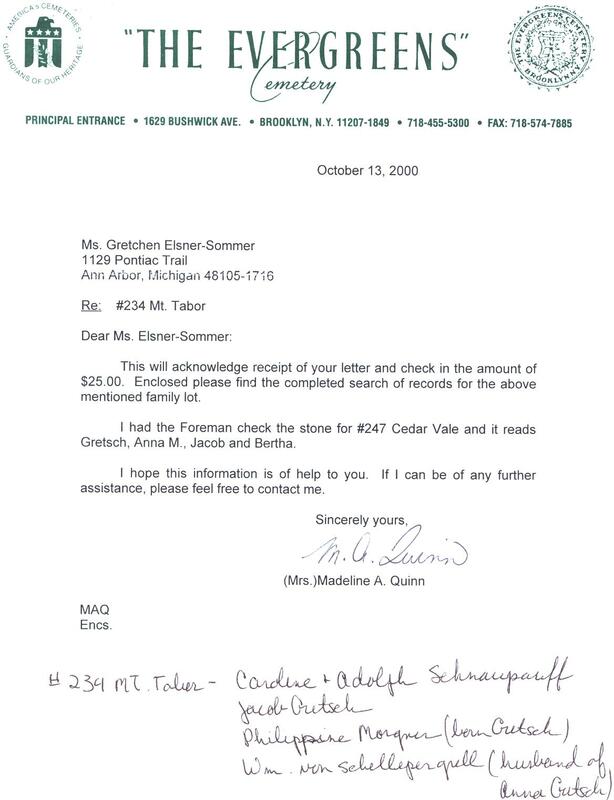 As the following records indicate, I had started my research at this cemetery, five years earlier. 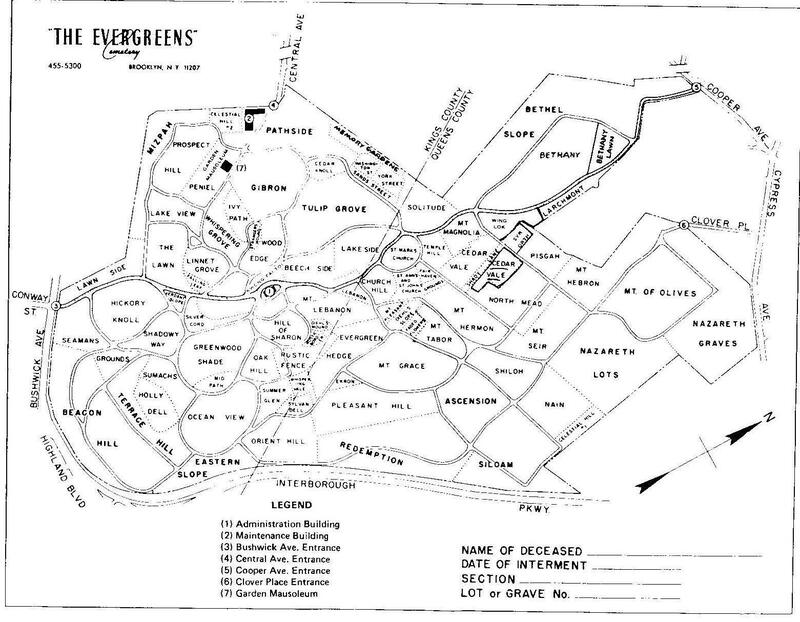 In the early 1990’s, Teddy Clauss son of Elsa Gretsch first told me that there were family graves here. 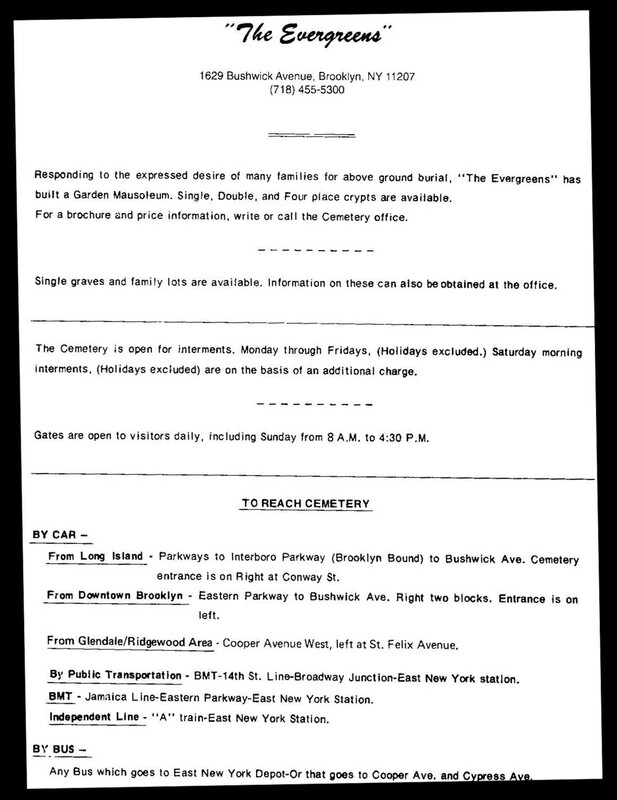 Although, this cemetery appears to be the first burial place of the Gretsch family members in Brooklyn, no burial site for Jacob Gretsch’s first wife, Rosina Artz Gretsch has been found. The parents of Rosa Schnapauff Gretsch are buried here. Also Jacob Gretsch and two of his wives, Anna Artz Gretsch and Bertha Wintermantal Gretsch. Several of the Gretsch children born in Mannheim are also buried here: Pauline Gretsch Benzing, Philippine Gretsch Morgner and Jacob. It is interesting to note that when Fritz Gretsch died in 1895, his wife Rosa choose to purchase a plot for the family in the Greenwood Cemetery. Exactly why Rosa decided not to bury her husband in the same cemetery where other family members were buried is not known…but it interesting to speculate what lead Rosa to this decision. Check Rosa’s time line on this website for more information as to what was happening in the family at the time of her husband’s death. 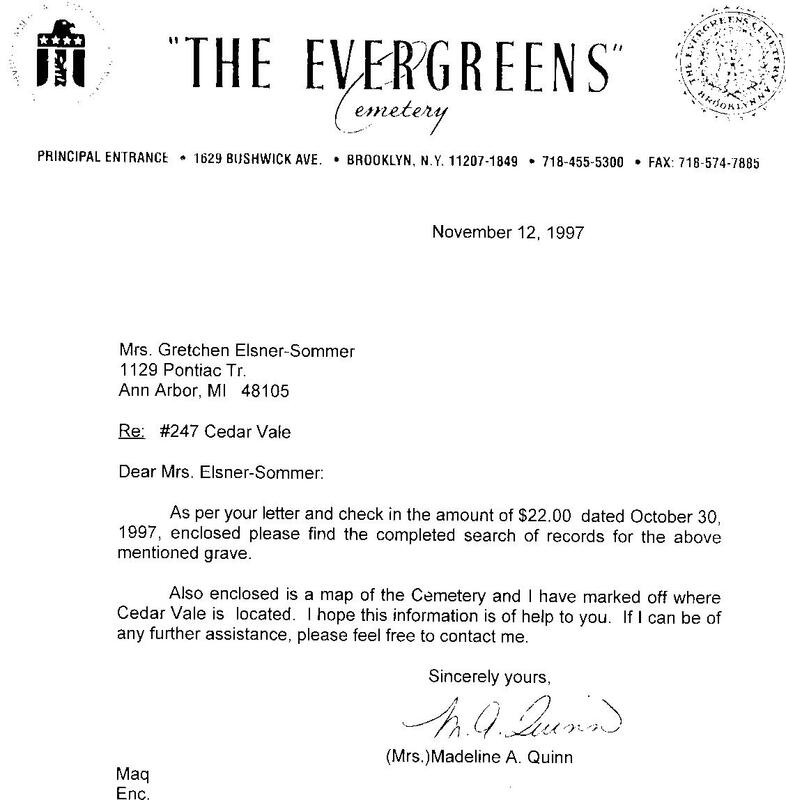 1997 Letter from The Evergreens Cemetery. Emily’s name does not appear on the stone. 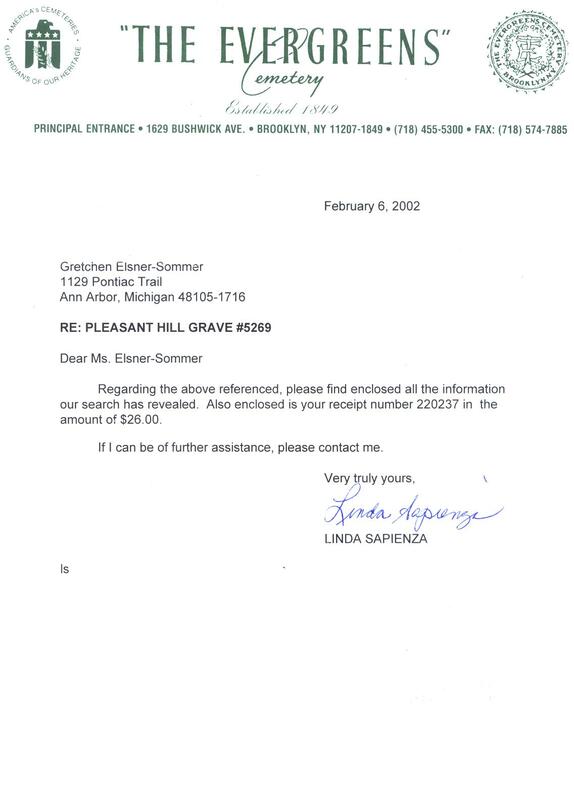 This letter dated February 6, 2002 brings an end to my long search for Pauline Gretsch Benzing. From this letter I learned that Pauline died on September 1, 1885 at 102 Lewis Ave. in Brooklyn, the home of her Uncle Jacob Gretsch. Pauline is the first to be buried in this plot, so I assume it was purchased at the time of her death. Also, in this letter I discovered that Philippine Gretsch and Max Morgner had a son, Hans. Hans died at the age of 4 months on November 30, 1892. Max Morgner was also buried here on July 25, 1898. There is an extra place in this plot that was never used. It is strange that Pauline’s younger brother Jacob Gretsch wasn’t buried here in 1897. Also strange that Philippine wasn’t buried here with her sister, her husband and her son when she died in 1914. Perhaps, she stated precisely that she didn’t want to be buried here. Philippine’s name is not on this stone even though her name is recorded in the record book.